I saw this video put together by Google employees and I thought it was really moving. I think that the message is the same for most of what's painful about being a teenager (not just sexual orientation) - it gets better! 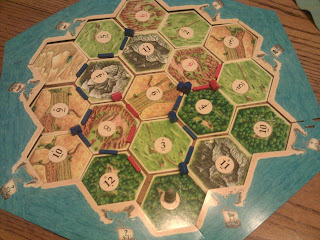 And it gets better over and over again as the guy in the video says. I should start by saying that I consider myself a super-user of most Google products (I have an obsession). Anyway, I recently got the following email from a friend who had recently gotten married. I needed some help with Gmail and was hoping that you could help me. How did you change your gmail address? Do I need to open a new account or could I link a new alias to my existing account. You have several options, so it depends on what you want to do. The steps below will 1. get you a new account and 2. make it look like your email is sent from your new account, all while bringing it into your same inbox you have always used with your old account. Do you want a new email that includes your new name somehow (let's call this Mrs. S)? If you want a new email address, then go on gmail and open a new account with a new handle (e.g.mrs.S@gmail.com or LS@gmail or whatever you want). Then choose "forwarding and pop/imap"
Then under forwarding (the first box) - select "forward a copy of incoming mail to" and then follow the instructions from there. You might not want to have the email in both accounts... so you can delete the copy in your new account, archive it, or keep a copy in your inbox, it is up to you. Then come into your old account "miss.S@" and then click "settings"
Select "Send mail as" and enter your new address. Does this make sense? If you want to do a variation of this, feel free to ask! An interesting side note, I was reading the wikipedia page for The Settlers of Catan and smiled at this part: "The game is very popular among the technology crowd in Silicon Valley." Who knew I was so trendy! 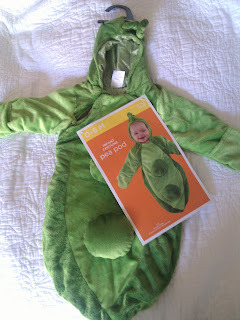 I saw this pea pod infant costume at Target and couldn't help myself! It is SO cute. That curlicue on the hood is too much! Now I just can't wait to meet her! Although browsing the infant costume section of Target.com to find the link for this post, they have LOTS of amazing options. I must say that if they had had this penguin costume at my local store it would have been tough to chose (her dad-to-be loves marine life). To be honest, a baby in any costume is the height of cuteness regardless of which costume they are wearing. I was talking to one of the attorneys at the conference today who had just switched from working in a poorer county to a wealthier county. She said that in the poorer county, you can easily tell who is the petitioner, who is the respondent, and who is the attorney in DV cases because of the way people dress and act. She said that in the wealthier county, its harder to tell the difference and yet the same abusive behaviors happen in those households. Appearances aren't everything and the most abusive individuals are often also the most outwardly charming. if you think your technology is being monitored, change your passwords along with your password reset questions as well as voicemail passwords. I have had at least one client get tracked via GPS on her phone and another client receive calls from her "mom" or "boyfriend" when really it was her ex using a SpoofCard-like software. So it happens. And some of the most unsettling cases I have had was where there wasn't a whole lot of physical abuse but the threats, controlling and/or stalking (appearing outside of her house, at her job, talking to her friends to find out what she had been up to and on and on) behavior made the opposing party far more unpredictable and made the client feel vulnerable. 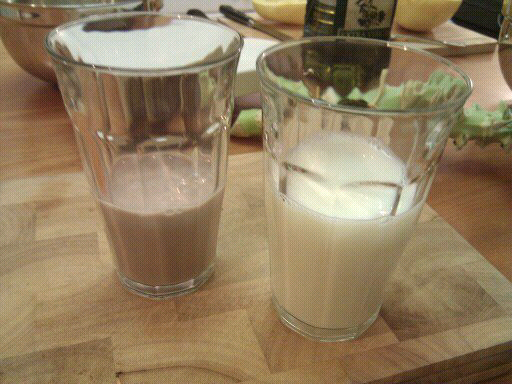 My hubby likes skim and I like chocolate. Match made in heaven. I love mood boards. Of all the wedding stuff I saw, the board below is still at the top of the pile. It was put together by one of my favorite bloggers at Snippet and Ink and helped me to imagine our wedding during the planning process. 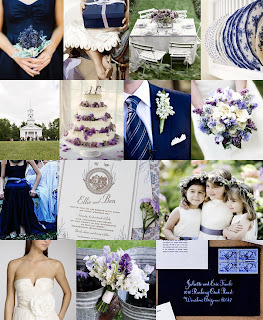 I love everything about it - and chose navy and lavender to be our colors based on this image. My friends Emily and Mike recently got engaged and as I sent her the link to this blog, I fell in love with it all over again. Our friend Ben was recently on Oprah! He is the principal and founder of the New Orleans Sci Academy, a charter school in New Orleans. Oprah invited Ben and representatives from 5 other charter schools around the country to join in a discussion about the state of education in the US. This discussion was prompted by the new documentary Waiting for Superman (I'll be seeing it this week!) about the US education system. At the end of the show, these 6 schools were awarded $1,000,000 each from the Oprah Angel Network! Check out this video of Ben receiving one BIG check! Congrats to Ben and the New Orleans Sci Academy! !